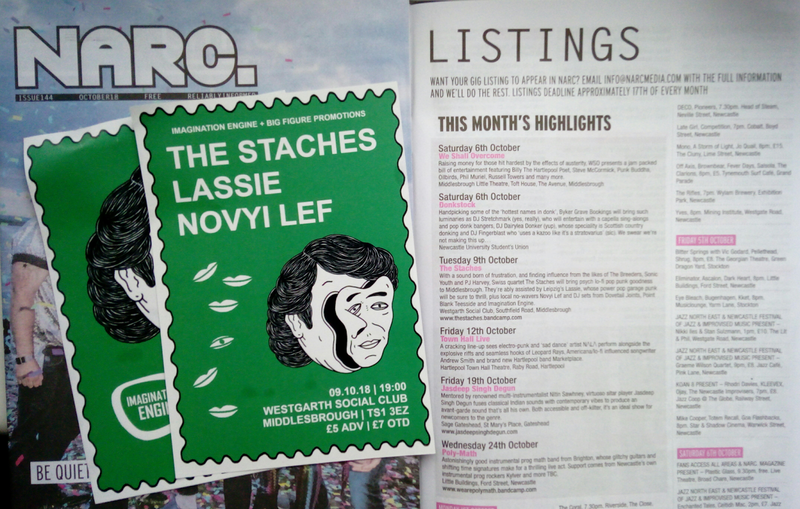 The reliably informed NARC magazine have our The Staches | Lassie + Novyi lef gig @ The Westgarth this Tuseday (09.10.18) down as one of this months go to gigs in the north east. Thanks lovely NARC magazine family. We've a few remaining tickets available online, and our in for a £5 say 'PARMO' OTD door code on the go. First single "Great Depression" from forthcoming The Staches - This Lake Is Pointless LP is out now too on French DIY label Six Tonnes de Chairs too. The super limited magenta/black vinyl 7" in hand screen printed sleeve, shrink wrapped for your tactile pleasure is available from the label bandcamp page and the band will have copies of the single with them at the show. NICE. 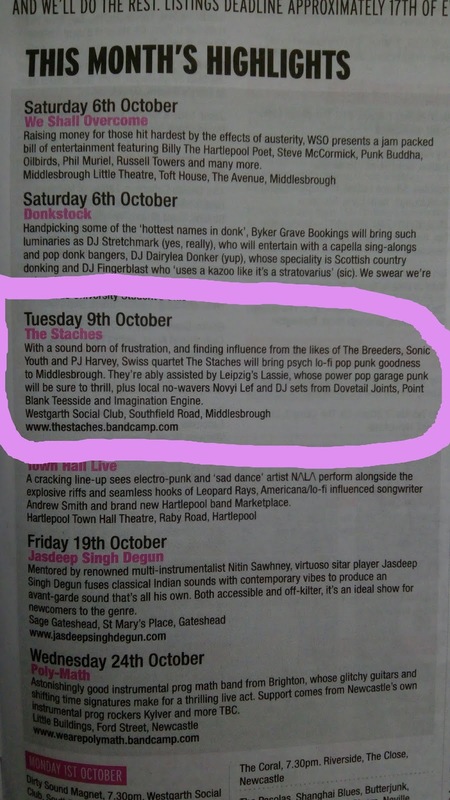 See you at The Westgarth on Tuesday. Doors open at 7pm. Appx stage times are Novyi Lef @ 8pm, Lassie @ 20:00, Lassie @ 20:45 + The staches @ 21:30. Be seeing you..